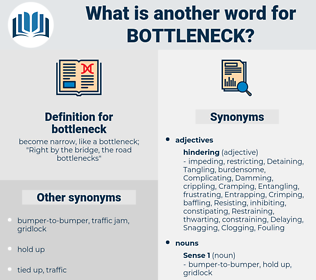 What is another word for bottleneck? become narrow, like a bottleneck; " Right by the bridge, the road bottlenecks"
hindrance, hurdle, barrier, constriction, roadblock, constraint, deadlock, pitfall, gridlock, crunch, setback. 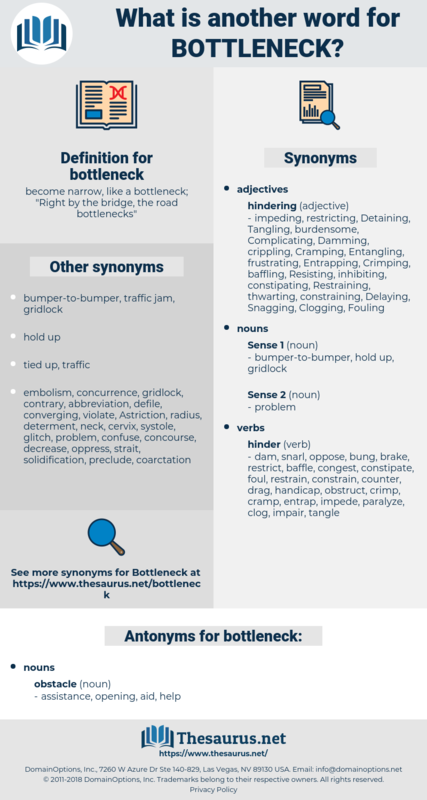 bottle, obstacle, strangulation, stranglehold, impediment, congestion, suffocation, blockage, problem, obstruction. embarrass, stymie, block, hinder, blockade, stymy, obstruct.